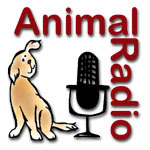 If you missed the last episode of Animal Radio, download the podcast below to hear the interview with Tripawds co-founder Jim Nelson (aka: Admin). 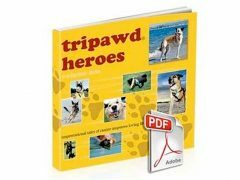 The May 14 program included a discussion with Dr. Marty Becker about his new book Your Dog: The Owner’s Manual, as well as lots of helpful information about allergies and pets, news about celebrity dogs behaving badly, and an interview with Admin about three legged dogs and the Tripawds Blogs community. Complete details from this show, as well as past episode archives and upcoming programs can be found at AnimalRadio.com. Haven’t heard Animal Radio? You’re missing out! Animal Radio is America’s “most-listened-to” pet talk show. More than 750,000 pet-lovers tune in weekly on 100 AM-FM radio stations and Sirius/XM Satellite Radio. 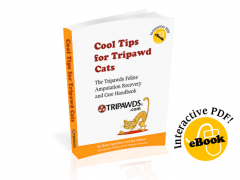 This fun and informative weekly program shares expert information, celebrity conversation, and answers to everyone’s pet questions. Traveling most of the year with Wyatt, we listen to Animal Radio on America’s Talk SiriusXM 166 Satellite Radio. 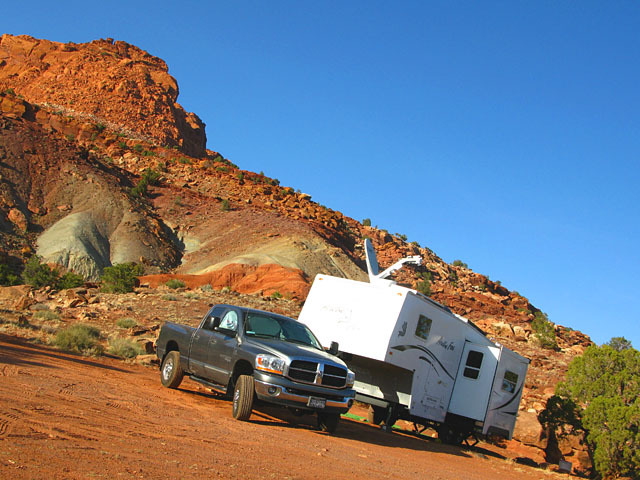 We were camped out in the Canyonlands near Capitol Reef, Utah when we got the call from show host Judy Francis. This might explain why our cell phone connection broke up during the call!